Textured bodywork is an emerging trend within the aftermarket tuning and styling scene. Which is why we’ve seen ‘rat-look’ cars that have been stripped of their paint and left to oxidise, cars with incredible, high-precision engraved metal bodies, and others that have been daubed with concrete as a surface finish. But this vehicle that we sniffed out at the recent Tokyo Auto Salon 2015 really takes the biscuit, so to speak. 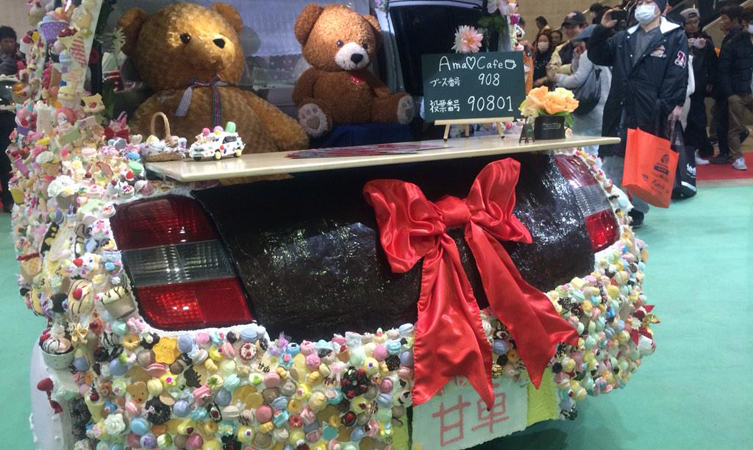 This bizarrely barnacled vehicle was built by students at the Toyota Tokyo Automotive College and is evidently some kind of mobile coffee shop staffed by teddy bears. 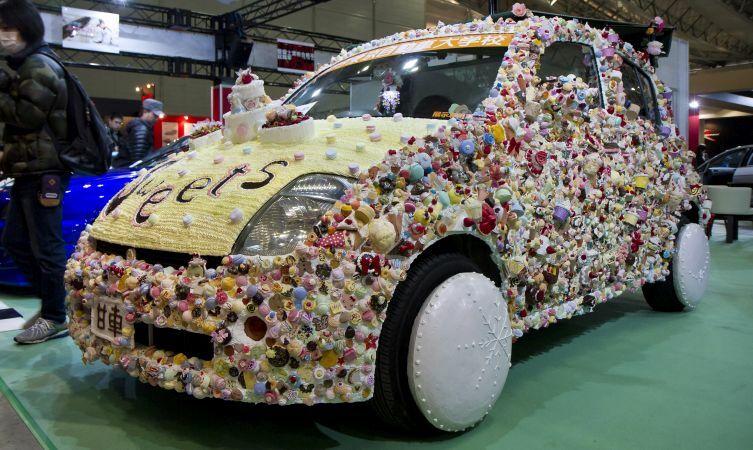 Apparently it took the student three days to hand-make over 2,000 plastic confectionery items to cover this unsuspecting – and indeed extremely rare – Toyota WiLL Vi model inside and out. Learn more about the Toyota WiLL Vi and four other wacky domestic market models, while you can read about one entrepreneur’s unusual but rather more sane coffee retail solution here: Coffee2Go brews up success with the Toyota iQ.